Spring is one season that can make you more prone to catching allergies. The particles in the air like pollen attack our body triggering allergies, running nose, itchy and watery eyes, prolonged cough are the main symptoms of winter allergies. Usually colds go away in few days but allergies may stay for longer days, so it is more important to take medical help. We are listing here top 5 foods to prevent spring allergies, these daily foods are also important in fighting any other seasonal allergies. Cheap, tasty, easily available, hundreds of recipes and its anti allergic properties make it best pick daily food for fighting allergies. Tomatoes are rich in Vitamin C, that fights inflammation and natural immune system booster. Another component lycopene an antioxidant is associated with reducing asthma symptoms and fights cancer. Do not forget to include this highly healthy food any season. Spinach has abundant potassium that is very important to reduce risk of allergies. Potassium deficiency is a associated with asthma and other ailments. It is the natural healthy spice that can be added into many foods, making your diet more healthy. Quercetin a compound in garlic fights allergies very effectively. It is also available in apples. 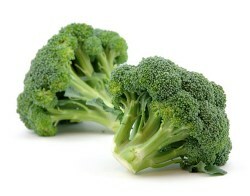 A single cup of broccoli contains 80 mg Vitamin C making it one of the best daily foods that fight seasonal allergies. An apple a day can definitely can keep allergies away according to the experts. Apples are rich with a flavinoid quercetin an anti inflammatory component. This super fruit also contains polyphenols that stops cellular damage. Eat apples with skin to get all the benefits of this fruit.